I woke this morning just after 5 o’clock. It was beautiful and cool outside, with nary a hint that today’s high here in the Sonoran Desert would top 100 by several degrees. So I decided to take my canine companion, Pepper, to the dog park for a romp. On the three-mile drive there, I listened to NPR on my car radio, and learned that Yosemite is celebrating its 150th birthday. 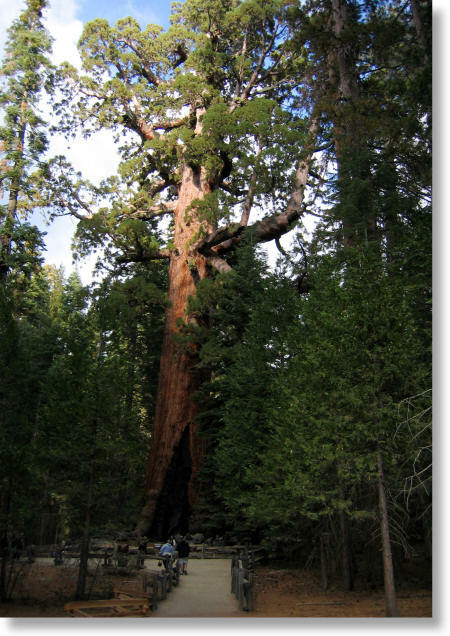 As the story goes, a photo of “The Grizzly Giant,” a Sequoia tree that is as tall as the Leaning Tower of Pisa, but with a greater lean, was shown to President Abe Lincoln. 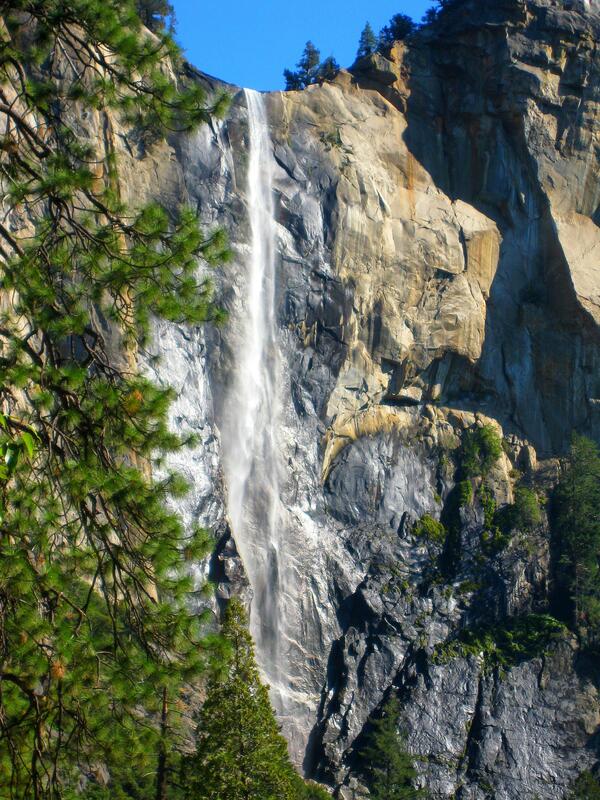 Greatly impressed with the photos he saw, he took time out from the heartache and bloodshed of the Civil War to declare Yosemite Valley the first federally protected wilderness area. I guess Old Abe was a tree hugger – just like me. That’s nice to know. It is certainly a beautiful place. Yes it is, Colline. But I found beauty everywhere I went across this country. I feel truly blessed that I had the opportunity to see it. Lot of historic structures all through the park. They are starting to thin out a lot of them. In some cases it might be a good thing, and in others not so good a thing. We Americans don’t seem to respect old structures and too often tear them down instead of repairing them. Thanks for commenting Chris.